your right buddy im sorry about that, but yes im directing it to tigergoat or whatever his name is. dude shut the **** up!!!! your clearly a hater, take you and your kid and go fishing, in any tournament going for a high risk shot is gambling,get a life *****!! I just got a new iPhone I will video record it. Anyone know of any good free aps that will help? 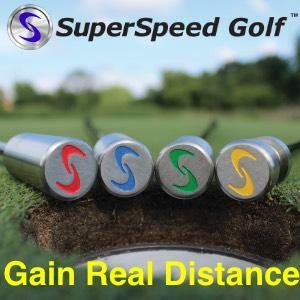 i have it helps a little , i know its spinning i can here it after impact, it cuts thru the wind but dies , i know its solid impact, not catching it in the middle of the clubface flipping, maybe angle of attack being to steep. my clubs are i think 3 degrees upright and im 5'9 but its def not flipping if i flatten it out a bit i might catch it thin. being they have offset im scared to really release the club and hook it. not sure what the lie is on my three, five wood or hybrids are though. my hybrids have steel shafts in them . but i know i should be hitting them further, my 19 degree i can only get 200 yards from it. im a lefty..... but i doubt i can flip and compress the ball. when i hit an 8 iron or 6 iron onto the green , the ball is next to the ball mark, im in the az scottsdale area now. i know that it looks like when i flip the club its straight into the air , and a straight ball flight, my ball flight is a high weak fade!! almost like im holding the club off. im hitting older callaway x20 irons not the tour version the standard ones. anyway i been misshitting them for the past year, couldnt figure out why, but i was playing sunday and all of a sudden, i make a turn focusing on turning my back shoulder behing my ear ( just the feeling ) and boom started striping them againg. i basically make a good turn back and then back through. i pretty much hit every shot solid!!! but the ball flys really high and theres about a two club loss in distance from about a year before. i know im not flipping because i can really feel the compression and its really solid contact. i had the different shafts put in and they are project x 6.0 . so why is the ball balooning on me? help!!! evry club in my bag is doing this my 3 wood im only hitting it 200 -215 when i normally hit it 240- 250. all clubs are doin this. did johnny drop down to the web.com your? WHERE ARE THESE GUYS ANYBODY KNOW? will do buddy!!! im in need of cash so i will post some soon here!!! the first 200 takes it!!! worth over 1,000 $ barely used.